FIRE SHOCKER: Authorities Probe Embezzlement at Mahopac Fire Dept. 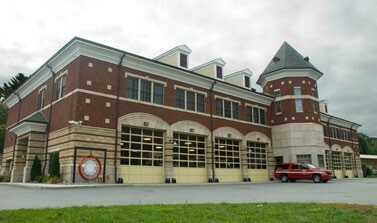 The Mahopac Fire Department building; authorities are now investigating the disappearance of millions of dollars from department coffers. A cloud hovers over the Mahopac Fire Department this week following allegations that a member embezzled millions… Please login below or purchase a subscription to the Putnam County Courier to access this content. 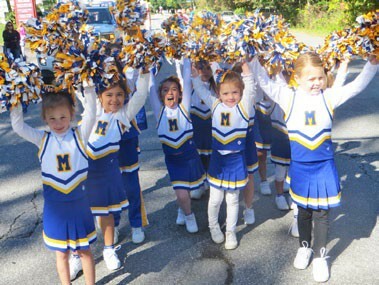 A cheer rings out on a glorious Sunday afternoon courtesy of the Mahopac kindergarten cheerleading squad. Sunday’s Columbus Day Parade in Mahopac was one for the books! Ideal weather conditions consisting of golden sunshine, crystal clear blue … Please login below or purchase a subscription to the Putnam County Courier to access this content. Sheriff Don Smith says “thanks but no thanks” to supporters who have started a “Draft Don Smith for Congress 2016” campaign across the county. A Facebook page focused this week calling for the nomination of the popular sherif… Please login below or purchase a subscription to the Putnam County Courier to access this content. Forty new residents of Putnam County have completed their studies and will become U.S. citizens Friday during a ceremony at the historic Putnam County Courthouse. The naturalization will be the county’s first in more than 20 years and County C… Please login below or purchase a subscription to the Putnam County Courier to access this content. Challenger Robert Tendy laughs at ethics allegations made by District Attorney Adam Levy. Incumbent Putnam County District Attorney Adam Levy and challenger Robert Tendy pulled no punches when they squared off at the Cold Spring Firehouse Monday in a… Please login below or purchase a subscription to the Putnam County Courier to access this content. The Lake Carmel Park District Advisory Committee will hold the next meeting on Monday, October 19th, 7:00 pm at the Kent Town Hall located at 25 Sybil’s Crossing, Kent Lakes. All Lake Carmel Park District residents are welcome to attend. … Please login below or purchase a subscription to the Putnam County Courier to access this content. In the final weeks approaching the Town of Southeast election on November 3rd, I’m anxious to express my overwhelming enthusiasm and support for Town Board candidates John Lord and incumbent Councilwoman Lynne Eckardt. Anyone who has paid atte… Please login below or purchase a subscription to the Putnam County Courier to access this content. I would just like to set the record straight in reference to Mr. & Mrs. Noone’s letter to the editor in support of Lynne Eckardt during Superstorm Sandy. I feel it is very disingenuous for them to praise Ms. Eckardt for political purposes,… Please login below or purchase a subscription to the Putnam County Courier to access this content. It’s quite discouraging these days to listen to all the antigovernment rhetoric that permeates the news media, especially given that our relatively young country has been responsible for one of the greatest democracies that has ever graced the… Please login below or purchase a subscription to the Putnam County Courier to access this content.